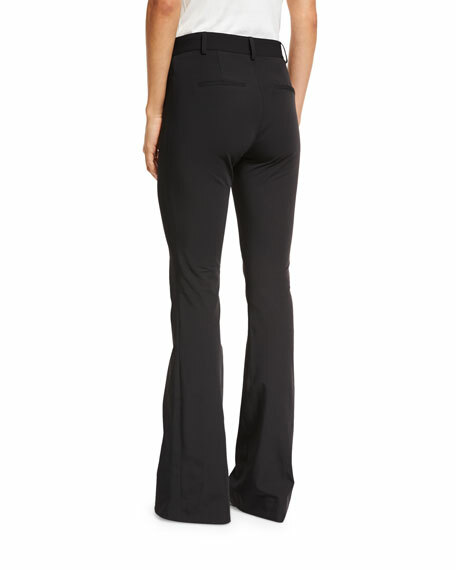 Veronica Beard "Hibiscus" high-rise pants in cotton blend. 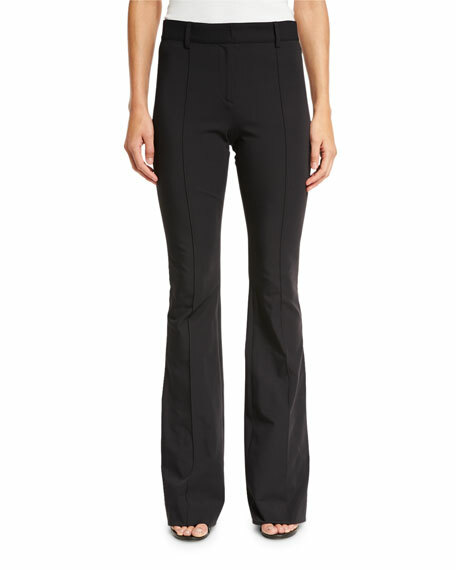 EXCLUSIVELY AT NEIMAN MARCUS Alice + Olivia "Brent" pants in shiny pleather. High-rise; belt loops. Back patch pockets. Fitted through knee; flared legs. Full length. Button/zip fly. Polyester; lining polyester/spandex. Imported. Model's measurements: Height 5'11"/180cm, bust 32"/81cm, waist 25"/64cm, hips 36"/91cm, dress size US 2/4. Anatomie lightweight cargo pants in UV protection fabric. Quick-drying, wicking, super-stretch fabric. Approx. 32" inseam. Dual zip pockets at knee.